Attention Fifth Wheel RV Enthusiasts: Don’t miss your opportunity to purchase a luxury Heartland Fifth Wheel RV at an amazing deal! From now until August 15 2016, you can receive up to $3000 in Factory Rebates on all Heartland Fifth Wheel Purchases! Here at Wilkins RV, we have the best selection of Heartland fifth wheels around, with a wide selection of floorplans available to suit your travel needs perfectly. Thanks to this limited time rebate offer, you can get into one of these beautiful, residential style fifth wheels at an incredible price! This incredible deal includes fifth wheel toy haulers as well. The Heartland Cyclone fifth wheel toy hauler will blow you away! Beautiful inside and out, Heartland fifth wheels rise above the competition due to their cutting edge innovations. Invented and patented the 88° degree turning radius. First to introduce 50lb ball bearing, full extension drawer guides-all in towables. Invented the UDC center which has become the standard on most all fifth wheels in the industry. First to have full 8 ‘wide walk in closets in price point fifth wheels. First to engineer affordable drop frame technology in our fifth wheels. First to engineer a non-skid, stain resistant, rubberized pass-through storage for fifth wheels. Retains Over Patents 8 Different for RV’s Like Cab Over Titanium Technology. Invented the Mega-Bath and Mini-Meg bathroom Heartland for fifth wheels. Treat yourself to a life of luxury and adventure in a new Heartland Fifth Wheel from Wilkins RV. You work hard, playing hard is part of the reward! Contact Us at Wilkins RV today to take advantage of this remarkable sale. Now is your chance to get into a quality fifth wheel, such as the 2017 Heartland Elkridge E365, for as low as $286/mo o.a.c.! But don’t wait! 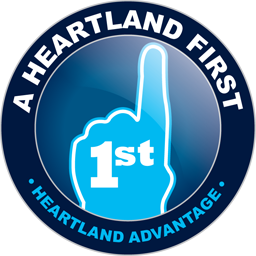 This offer is only good until August 15th and these Heartland products are moving quickly. Swing in and visit us at Our Bath or Rochester Locations. Our knowledgeable RV specialists will help you find just the right fifth wheel at just the right price to make your RV dreams come true!